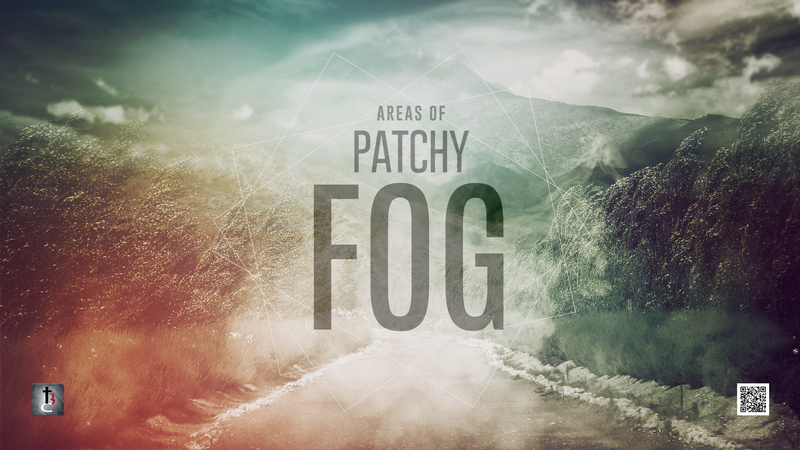 In our series on Areas of Patchy Fog, we know that fog dramatically affects our visibility. When there is no fog we have high visibility and when there is dense fog our visibility becomes low, meaning we can’t see very far in front of us. Our visibility or how we see things effects greatly our attitude and actions. Perception is everything. How we perceive our situations in life determines what our actions are. For the Christian, we can see things from a spiritual view and have high visibility or we can see things from an earthly view and have low visibility. In the scriptures today in 2 Kings 6, we see that Elisha sees spiritually and his servant sees earthly. When God opens the eyes of the servant, his perception of everything changes greatly. His perception at first was one of fear, but when his spiritual eyes were opened, his perception was one of faith. Elisha had faith, his servant fear. Faith must overcome fear. When you have low visibility fear will overcome faith. Elisha and his servant are surrounded by the enemy and appear to be under attack in a losing situation. We can seem that way in our lives as well. You may feel like you are under attack and in a losing situation, but the reality may just be that you are seeing with low visibility. You may be seeing through fear, frustration or in the flesh instead of through faith. We would call that low visibility. Low visibility says that I know that I’m supposed to love this person, but I don’t feel the love. I know that I’m supposed to tithe, but I don’t have the extra finances. I know that I’m supposed to be optimistic, but I don’t see things getting any better in the near future. Yet when you step out in faith by loving, tithing and believing, you meet the resistance and your faith is strengthened. It’s then that God responds in amazing ways. How we view a situation can change our entire life. In reality, how we see things are filtered through our beliefs, fears and life experiences. If we change those filters, turn those negatives into positives, we change our entire life. Our families are changed, our finances are changed and our future is changed to the better. Just remember that these changes begin with how you see things, but it is the power of God and His armies working in your life that brings about the full change. You hear me when I call. Iis always by my side. My strength is in your name. For, You alone can save. And, nothing formed against me shall stand. Nothing formed against me shall stand. Let’s read about “The God of Angel Armies” that removes our low visibility in 2 Kings 6:8-23. The Fullness of God’s Provisions for you. In verse 17 it tells us that the mountain was full of God’s horses and chariots. God has provisions for the needs in our lives that we don’t fully see until we see through the spiritual eyes of faith. God has the provisions for whatever need you have in your life as well. The Fire of God’s Power in your life. We also see in verse 17 that the chariots are identified as chariots of fire. Fire is used in the Bible to represent God’s power coming down from heaven to earth. Don’t you want to experience the fire of God in your life? Power to take your situation and make it into something for good and God’s glory. The Future of God’s Plan for you. In verse 23 it states that the Syrian raiders did not come into Israel anymore. God has a plan to stop the oppression on Israel and it all started on a mountain that looked like a mountain of defeat, but God made it a mountain of victory. Isn’t it about time that you change your perception of things and let the God of Angel Armies change your life? It starts by asking God to give you faith.